MORFRAC Systems manufacturer of the MORFBLOCK is proud to introduce it latest development: SOFT-GRIP technology. Introduced into the market in late 2017, the MORFBLOCK has been a great addition to many exciting boats: TP52, Class 40, Mini 650, Nacra 17 and soft wings among others. The MORFBLOCK has proven itself in the most demanding applications with great success and has been evolving right from its launch. 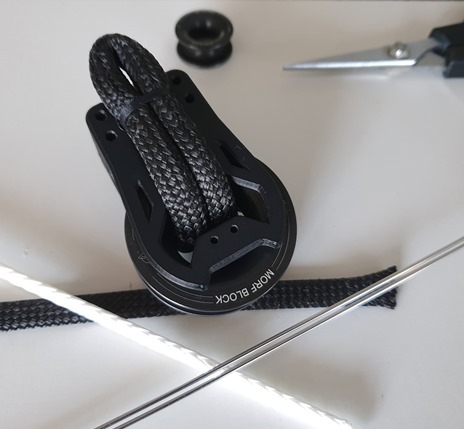 The SOFT-GRIP Technology introduces a series of precisely machined dimples on the sheave grove (comparable to a golf ball surface); these create a higher contact area between sheave and rope which becomes more efficient as the rope is loaded. The SOFT-GRIP is a non-abrasive surface and does not compact the fibres; protecting your lines at all times. The SOFT-GRIP Technology is offered as standard on both the MORFBLOCK XL range and standard range. Morfrac Systems manufacturer of the Morf Block is proud to announce its latest partnership with Marlow Ropes. As a result, the complete Morf Block range has been updated with Marlow’s range of Dyneema® D12 SK78, D12 SK99, Chafe Covers and Whipping Twine taking our blocks to the next level. Morfrac Systems team now counts with the support and knowledge of a world-leading rope manufacturer providing tools for further product development and ensuring we stay at the cutting edge of technology. 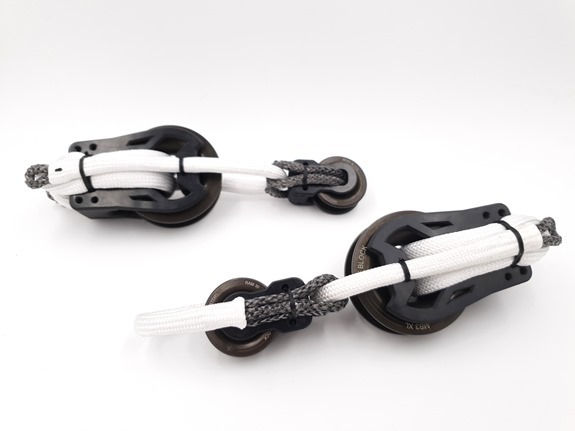 Additionally, Morfrac Systems will now offer a wide range of Marlow ropes available at our new website and online store. MORFBLOCK is set to close the Altantic once more. After the success on board the Class 40 class on the Rute du Rhumb, MORFBLOCK new challenge is on board one of the latest Mini 650, n 958. Launched in 2018, 958 is Verdier design, its skipper Jonathan CHODKIEWIEZ is ready for another go at the MT in 2019! MORFRAC SYSTEMS will be at METS Trade 2018 presenting new products together with a new range of MORFBLOCK. The 2018 season has started and MORFRAC is proud to be onboard! TP52 Alegre has been one of the early adopters of our MORFBLOCK for their interior running systems. Low weight and high performance is a must but reliability is the key! MORF BLOCK is please to announce its participation at METS Trade 2017. We hope to meet you there to show you more about our developments. After years of development, patents and testing finally the MORF BLOCK is available to everyone through its website and distributors. Suscribe to our newsletter to keep track of our latest developments! MORF; Copyright 2019. All Rights Reserved.